Today Samsung and ARM inked a huge license deal - ARM granted a long-term license to Samsung for its Mali GPU series. Samsung has been using the Mali design in Exynos chipsets for quite some time now - the most recent case being the Galaxy S6's Exynos 7420, which is notable for its Mali T760 MP8 8-core graphics. Qualcomm's Adreno lineup and Imagination Technologies' PowerVR series are the competition to ARM's Mali GPUs, but it seems its future partnership with Samsung will surely help Mali stand its ground. ARM has already introduced a lot of interesting GPUs, both cost- and energy-efficient. There is the top-notch Mali-T880, which we'll most probably see in the next crop of flagships (Galaxy Note 5 too, maybe), while the T820 and T830 designs should provide reasonable graphic punch on the cheap. ARM's Mali has also been a choice for many MediaTek chips, while Huawei has been using Mali's in its HiSilicon offers as well. 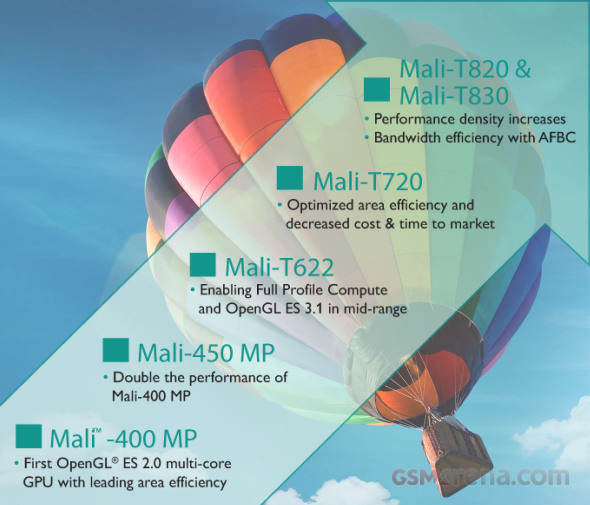 Samsung has been using Mali quite often, but now with this new deal the Mali future looks quite promising. Hopefully, this will turn out for the good of both companies, the fair competition, and for us - the users. how long term deal is that home button layout? see you then. When adreno reaches 14nm there will be a more advanced Mali to complete. And not really. Some benchmarks show adreno doing better and many show Mali. But Mali throttles less even in older chips.